The Tesla series - now on sale together for only $1.98 - 80% OFF! "An incredible, madcap adventure that only Dircks could deliver. 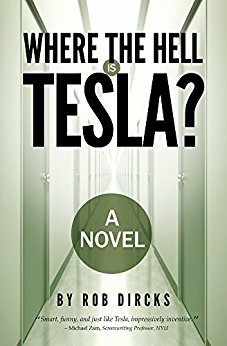 The Tesla books are living proof that original stories are still out there waiting to be discovered." "I love this series! It gets better and better. Love wins! If you haven't read Where the Hell is a Tesla?, you must. You'll love both. I promise!" You never know with sequels... Fortunately, you don't have to worry about this one. Dircks' second in the Tesla series delivers every bit as well as the first - in the same balls-to-the-wall writing style that made the first book so entertaining."